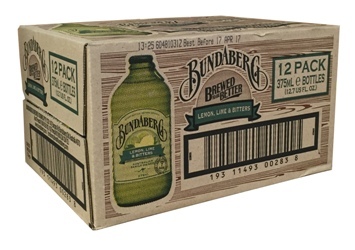 Bundaberg Lemon, Lime & Bitters is made with real lemon and lime juice and naturally brewed angostura bitters, for a light refreshing flavour. just like they make it in australia. brilliant. This is what I would consider a typically Australian drink (mainly because I have never encountered it anywhere other than the Land Down Under). It's a refreshing lemon & lime flavoured drink, with just a hint of heat from the bitters. It's easily recreated at home if you have the right ingredients, but why bother, when Bundaberg have done it all for you?